Jack be nimble. Jack be quick. Jack’s stoked to see his availability at a glance with the Jobber app’s latest update. Now you can make scheduling decisions on-the-fly. With the Jobber app’s new day view see when you’re free and tap to book in new work. 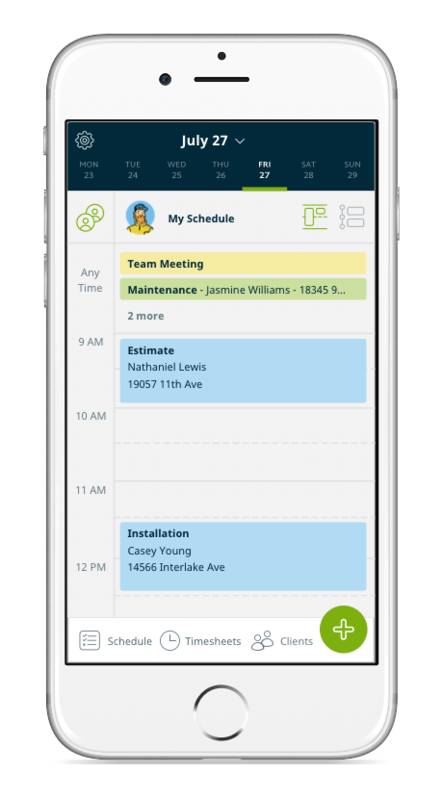 At a glance you’ll know your availability, you can decide on the best time, and then tap to immediately start scheduling a new task or job. Really like the original list view in the Jobber app? Don’t fret—you can toggle back and forth between views, and we’ll automatically save your view preference. We want to make your life easy. The new day view is inspired by other familiar calendar apps, so you don’t have to think twice when chatting with a client about when you can make it to their house. Our latest Jobber app update (3.36) is now available to all Jobber users. Be sure to install or update your Jobber app from the App Store, or Google Play.